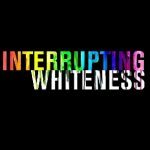 This week, highlights of Interrupting Whiteness – What is Whiteness? What is the culture of it, and how is it a system of oppression? The recording is from a PechaKucha event held at the Seattle Public Library earlier this month. This five-part series includes excerpts from various speakers at the public event.